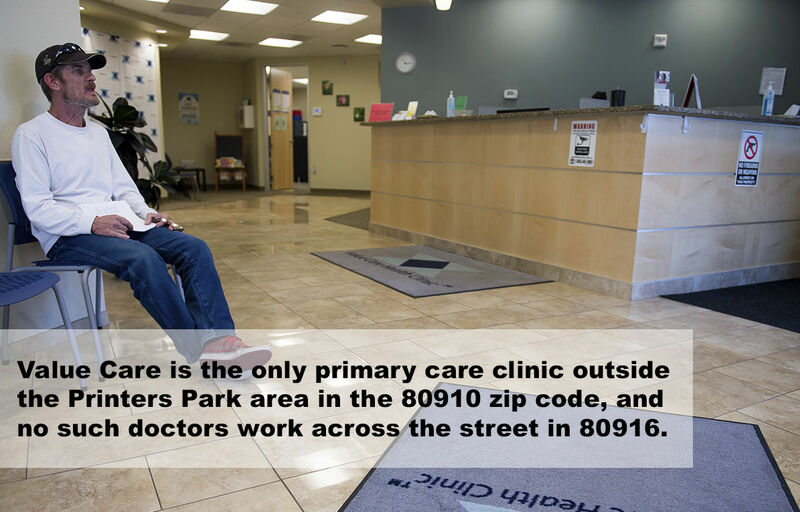 Largely devoid of the same health care resources as the rest of the city, the southeast’s residents suffer some of Colorado’s highest rates of poor physical health and mental distress. Multimillion-dollar price tags, expansive suites and cutting-edge technology are the norm for new hospitals and health clinics in Colorado Springs. Not in the city’s southeast. Here, primary health care for thousands of patients is in a gray, low-slung building originally made for defense contractors, not doctors. Missing it is easy — the turn-off from South Academy Boulevard arrives long before its front doors are even visible. 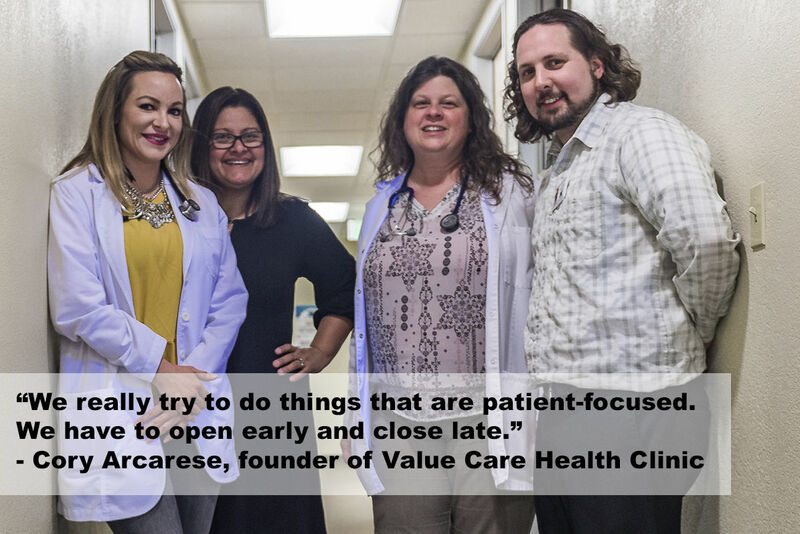 “Because there’s so many apartments around us, people walk to us, they push strollers over here, they ride bikes over,” said Cory Arcarese, founder of Value Care Health Clinic. A resurgent Colorado Spring basks in record low unemployment numbers, a soaring housing market and an increasingly burnished national reputation. But an entire quadrant of the city, the southeast, languishes in the shadows. Some southeast neighborhoods glow with pride of place, as residents vie in friendly competition for “best yard” honors. Blocks away, others despair in decrepit apartment buildings on blighted streets, saying they feel trapped. Poverty, along with difficult home lives and personal circumstances, the absence of electronic devices outside of school and a lack of emphasis on the importance of education can count as strikes against many southeast students. Crime and perceptions of public safety vary from one neighborhood to the next, even among those in close proximity. A tangle of stubborn social issues in the southeast that include disproportionate poverty, joblessness and related urban ills have long been linked to higher crime. Terry Ragan’s southest apartment complexes account for more than half of all city code enforcement housing cases, and about 80 percent of all housing code violations. Police responses to the complexes more than doubled between 2003 and 2016. Astonishing numbers, but nothing much changes. Experts say reinvigorating southeast Colorado Springs is not impossible, but any successful effort to do so will take enlightened city policy, progressive private developers, great patience and public will.